Meltham is a small town and civil parish within the Borough of Kirklees, in West Yorkshire, England. It lies in the Holme Valley, below Wessenden Moor and Saddleworth, four and a half miles south-west of Huddersfield on the edge of the Peak District National Park. The valley has been inhabited since pre-historic times and there are two Iron Age sites overlooking the town. 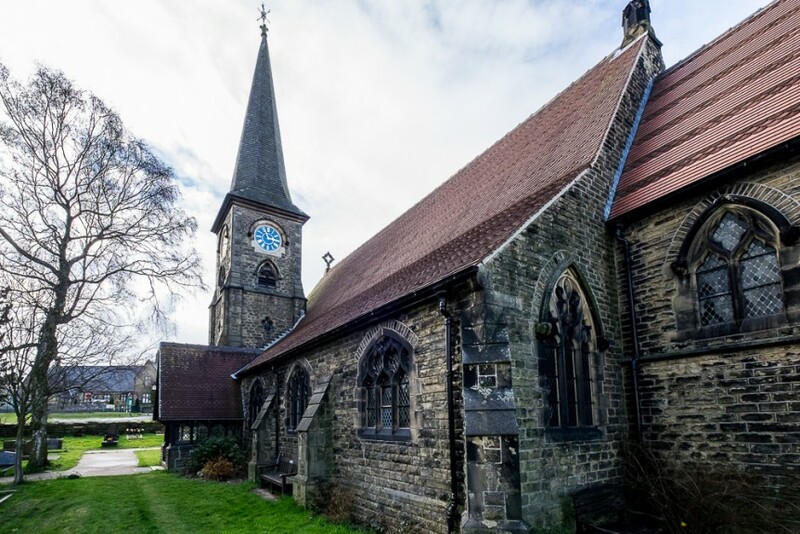 Meltham also includes the small village of Helme which has its own school and church. Meltham is home to the Meltham and Meltham Mills Band, which was established in 1846 as a brass band. They became the first band to win the British Open Title for three consecutive years, a feat only matched by 5 others. Meltham has been used as part of the location for several television projects. The third episode in 1995's Coogan's Run was set in and around Meltham Parish Church Hall. In addition scenes of long-running BBC sitcom Last of the Summer Wine and ITV drama Where the Heart Is used some of Meltham's beautiful traditional houses as character's homes. Happy Valley also filmed in and around the area including scenes at the local Wills O' Nats. The scout hut has also been used as well as streets for shooting outdoor scenes. Meltham Mills was the former site of Jonas Brook and Brothers, a silk mill complex that employed over 1,000 workers during the late 19th century. The Brook family originally came from New House Hall in Sheepridge, moving to Thickhollins towards the end of the 18th century. William Brook married Martha Smith at Bradford Parish Church - the daughter of a prominent Mirfield banker. Their sons Jonas, James and Joseph established their business in Meltham Mills, using a goat's head - the crest from the Brook's coat of arms - as their brand. The goat's head can still be seen on the old office building to the mill complex and their arms are emblazoned in St. James' Church, in Meltham Mills (which the family built) - a hawkes lure: motto "en dieu ma foy" (in God my trust). Meltham Mills Band also carry the Brook family coat of arms as their official logo. Edward Brook died in 1904 at Hoddom Castle, the house near Ecclefechan, south-west Scotland, which he had purchased in 1878. The Brook family were philanthropists and built housing in Meltham Mills for their employees, including the convalescent home. They also built Meltham Hall, Helme Church and owned an estate at Enderby in Leicestershire. William Brook is buried with his wife Martha in Meltham Church, but his descendants are buried in the crypt underneath St. James Church, Meltham Mills. Jonas Brook and Brothers became United Threads in 1890 and Sir Hildred Carlile of Ponsonby Hall, Hertfordshire was a Director of the business. United Threads was closed in 1939 and the business transferred to Paisley as part of J & P Coats (now Coats Viyella). The factory site was taken over by David Brown Tractors. John Charles Brooke, who originated from the Silkstone branch of the Newhouse Hall family was Somerset Herald during the 18th century. He was crushed to death at the Haymarket Theatre in London following the crowd's clamour to see King George III in 1794. He is buried in St Benet Paul's Wharf in London. Meltham Mills was also the former base of the David Brown Tractors factory opening in 1939 and closing operations on the site in 1988. The various buildings have now been converted into a diverse number of industrial units, one housing a Tractor museum. Durker Roods, the former home of Sir David Brown was converted into a hotel and the grounds were sold for private housing. The town has its own joint Scouting and Guides Association buildings.